One of the dirty little not-so-secret aspects of the electronics business is in “extended warranties” offered by retailers and some independent firms. The idea is that items typically come with a 90-day or 1-year warranty, but for some extra cash, the retailer (or someone else) will extend that warranty by anywhere from one to five years. On one hand, extended warranties can be appealing for important or high-dollar items as a way to protect an investment against eventual failure. On the other hand, many studies show that if a consumer electronics device is going to fail, it’ll likely happen in the first year, meaning most customers are throwing money out the window when they purchase extended warranties. Nonetheless, often by playing on consumers’ fears, retailers do good business in extended warranty contracts. Now—to the annoyance of retailers—Sony is deciding to get in on the action, offering 1-year and 2-year extensions to its basic 1-year warranties on PlayStation 3, PSP, and PSP Go systems. The service plans provide direct access to PlayStation support personnel and promise customers will have no out-of-pocket expenses to handle qualified claims: meaning, Sony will pay for shipping. 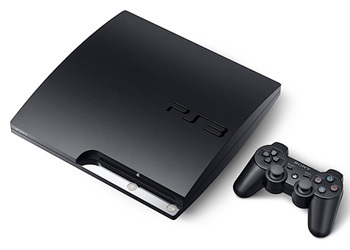 The one- and two-year plans cost $44.99 and $59.99 for a PlayStation 3 console. PSP and PSP Go units can get one- and two-year plans for $29.99 and $39.99, respectively, with an optional “accidental damage” rider available that adds another $10 per year, which covers screen damage. Any PlayStation 3 or PSP customer still within their one-year original warranty can purchase the plan. Sony describes these price points as “competitive” with the rest of the market. Most retailer and third-party extended warranties are priced on a per-year basis; Sony’s plans are more typically more expensive for a year of coverage, but the proportionately lower cost for a second year tends to bring the offerings more-or-less in line with other extended warranty option. However, details of the service plans may vary: Sony’s plans involve shipping units back to Sony, where many retailers enable customers to drop off a failed item and leave immediately with a replacement. Some third party plans also cover cables and accessories; we haven’t been able to confirm details of Sony’s protection plans in regard to controllers, cables, and other items.